Building a Rocket! - Life. Love. Reality. 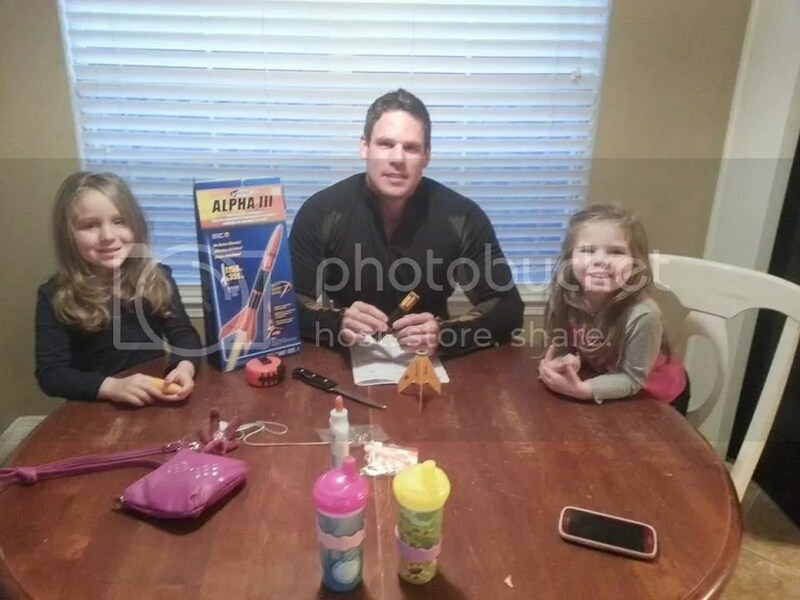 We may not have little boys in our house but these girls love building things with their daddy. Abigail has been asking to build a rocket for several months. 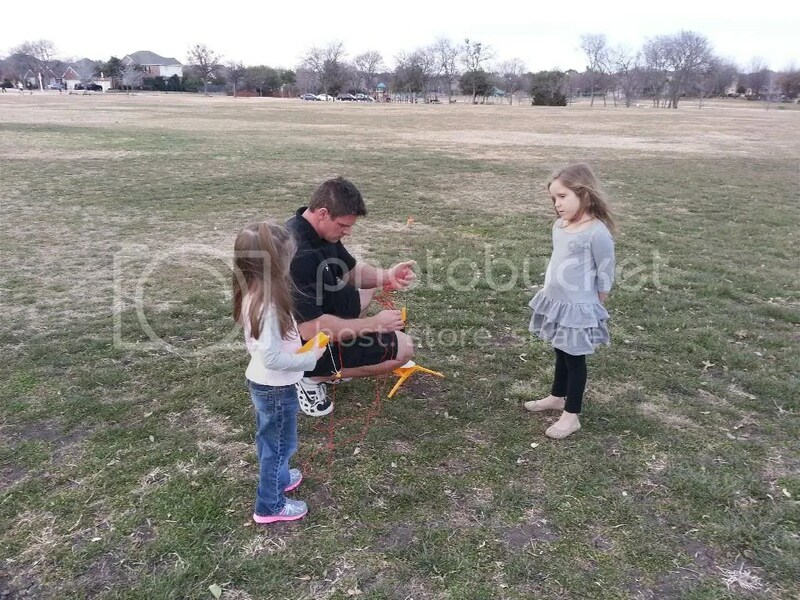 Danny went and bought all the items needed to build the rocket and the girls were so excited. 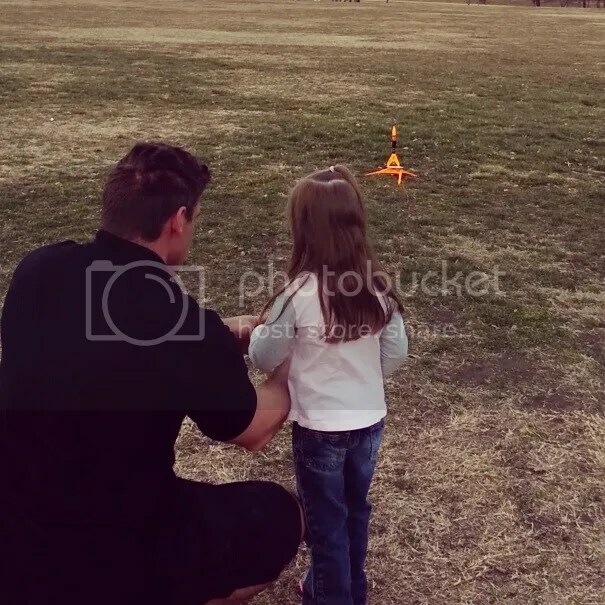 And finally 1 month later we had the perfect day to go shot the rocket. 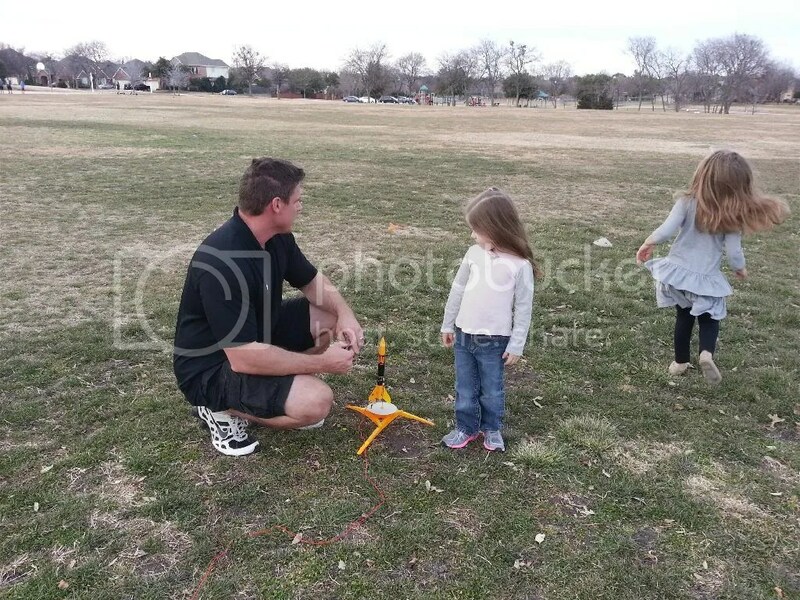 It was still a little windy but the dang Texas weather has been crazy and the girls were ready to watch their rocket fly. Watching Danny get it all set up. 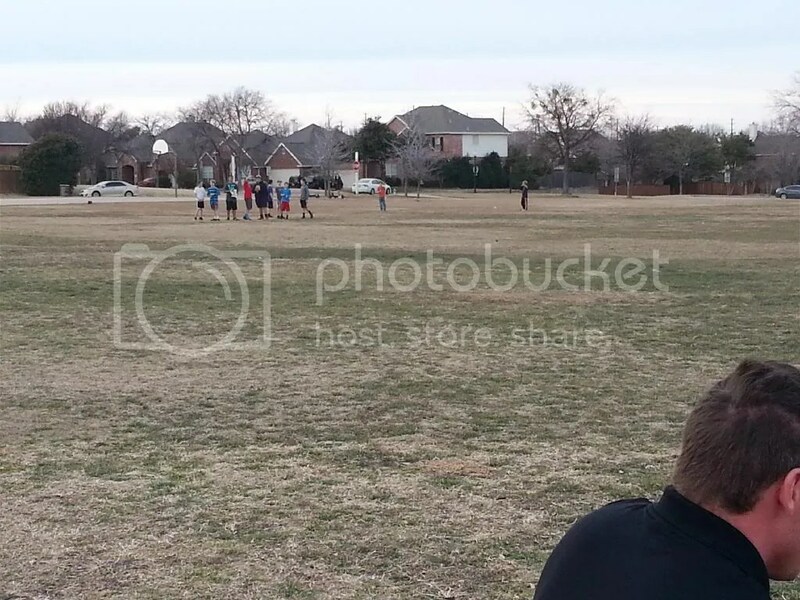 We even had 11 neighborhood boys watching! 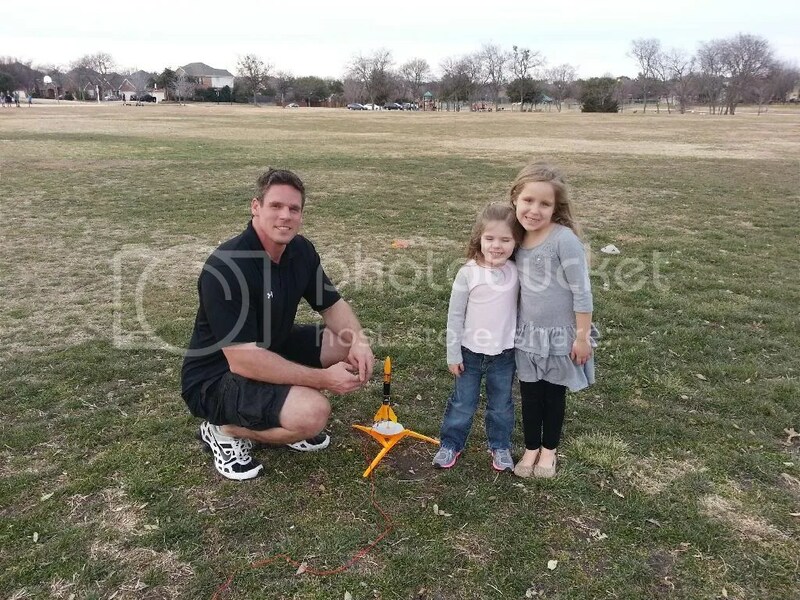 Thanks to the Texas wind we did not find the rocket but the girls loved watching it blast off.